We offer Guided tours of Hadrians Villa, the marvelous Roman residence that belonged to Emperor Hadrian. Built in the 2nd century AD by the hand of one of the most important figures of Imperial Rome, the building is still today testimony of the splendour achieved at that time. A magnificent Villa whose remains can give an idea of its ancient structure. 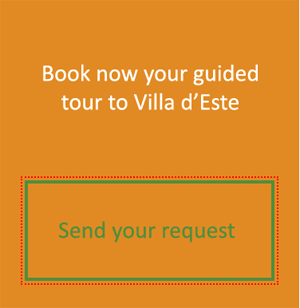 Hadrians Villa tours are standard, lasting about 2 hours during which you will visit the Pecile, the Maritime Theater, the Sala delle Esedre, the Small Baths, the Great Baths Canopus. Prices start from 150.00 euros up to 20 people. 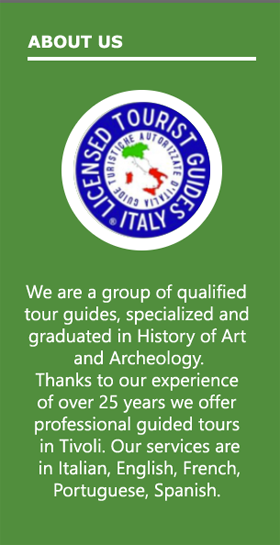 We also offer a 3-hour archaeological specialist visit and thematic visits to Hadrian’s Villa with particular attention to construction techniques. Hadrian’s Villa is a magnificent residence of the Roman era built by Emperor Hadrian in the 2nd century AD. A very large area of about 120 hectares of which 40 are still visible today. The residential complex desired by the Emperor, lover of art and beauty is still today the largest Roman Villa among the discovered ones. Visiting Hadrian’s Villa means getting lost in a great beauty, imagining the architecture of the past, understanding what were the glories of the Roman Empire and the customs of the imperial court. Hadrian’s Villa has been included by UNESCO in the world heritage sites just like Villa d’Este Gardens, another magnificence of Tivoli. Taking a guided tour of Hadrian’s Villa necessarily involves traveling with the mind several centuries ago, precisely at the time of the Roman Empire: the Villa was built starting from 117 AD. and the completion works lasted approximately 20 years. Hadrian’s Emperor will was precisely the selection of a location far from Rome, from the daily life of the political life of the city: the choice fell on Tivoli, which since then was chosen by many other Roman nobility as a place to spend their holidays. The decision was also supported by the presence in these territories of the well known beneficial thermal waters. 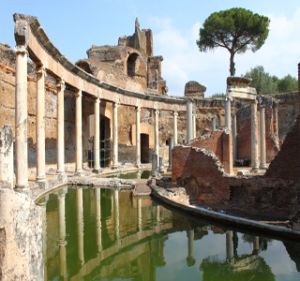 The tour of Hadrian’s Villa includes many of the places still preserved today such as the Greek Theater, the Golden Square, the Hall of Philosophers, the Stadium and the Academy.